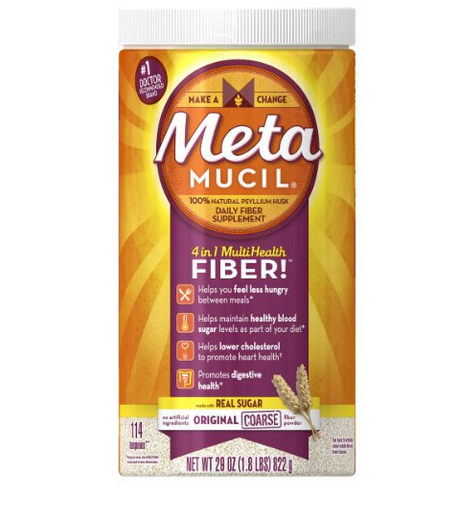 Metamucil MultiHealth Fiber, Trusted for Over 75 Years! 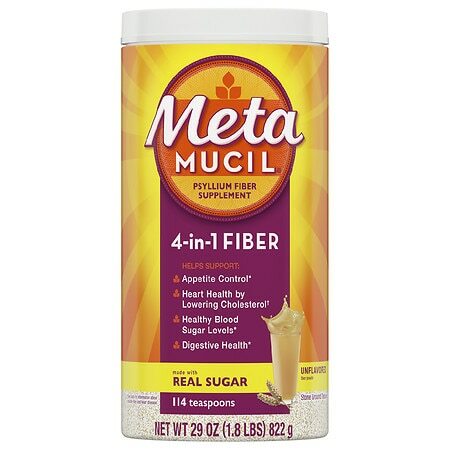 1 list-style-type:disc 1 #1 Doctor recommended brand 2 The only leading fiber supplement brand with 100% natural psyllium fiber Metamucil with 100% natural psyllium fiber is a daily fiber supplement that helps to promote digestive* and heart health. ** Made in USA *This statement has not been evaluated by the Food and Drug Administration. Metamucil Coarse Sugar, 114 Teaspoons Original - 29 oz.